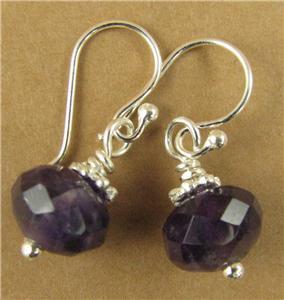 Home › Small amethyst and silver dangle earrings. Sterling silver. Handmade. 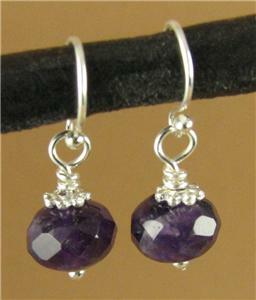 Small amethyst and silver dangle earrings. Sterling silver. Handmade. 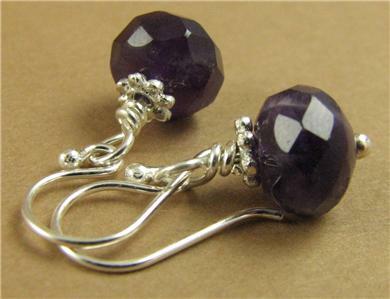 This is a pair of small amethyst and silver earrings. 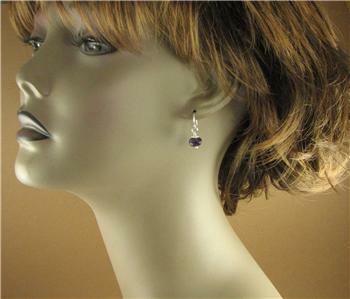 The stones are natural amethysts that have been faceted to catch the light beautifully. They are variated amethysts which naturally have small flecks of white in with the purple. The ear hooks and the silver wire inside are all solid sterling silver. From the top of the hooks, the earrings are 2 cm long.